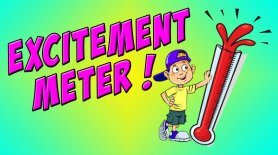 Maker your little princess say WOW and all her guests.. 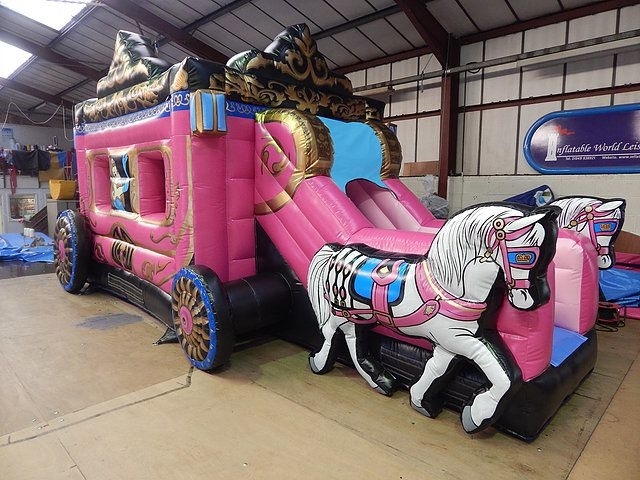 This deluxe bouncy castle really is special and unique, it is the 2nd made in the UK so this product is very rare. 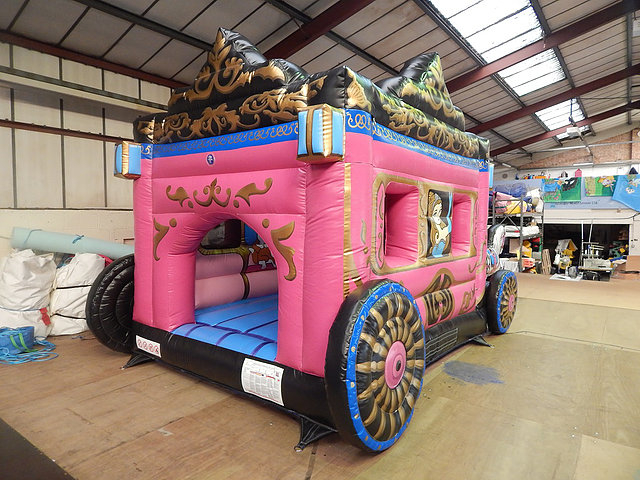 It has 3D wheels and horses that stick make this bouncy castle as realistic for an inflatable as possible. 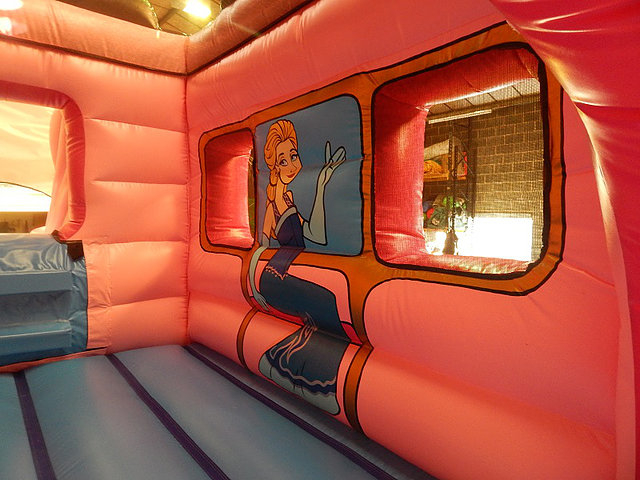 This hand crafted, hand painted castle is fit our any princess up to the age of 14. Inside there is a biff bash in the bouncing area and a slide that brings you out the front.